I’m still catching up on posts and reviews and this outfit today being one of them. But I’m kinda glad that I waited just to prove a point, “Yes”, you can wear white after Labor Day. 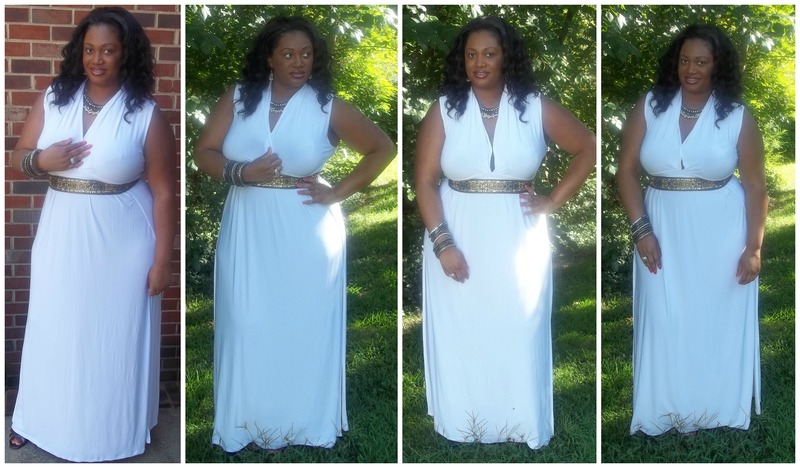 One of my Facebook friends Latiffany Anderson owns the company Kurvie Kulture and she sent me this gorgeous white dress called the “Kayla” for review. Now if you’ve been paying attention to the fashion world over the past few seasons then you already know that the color white is all the rage, YEAR ROUND. The Kayla dress is a long double-splitted maxi dress that is made of my favorite material, jersey. Which means easy breezy wear. 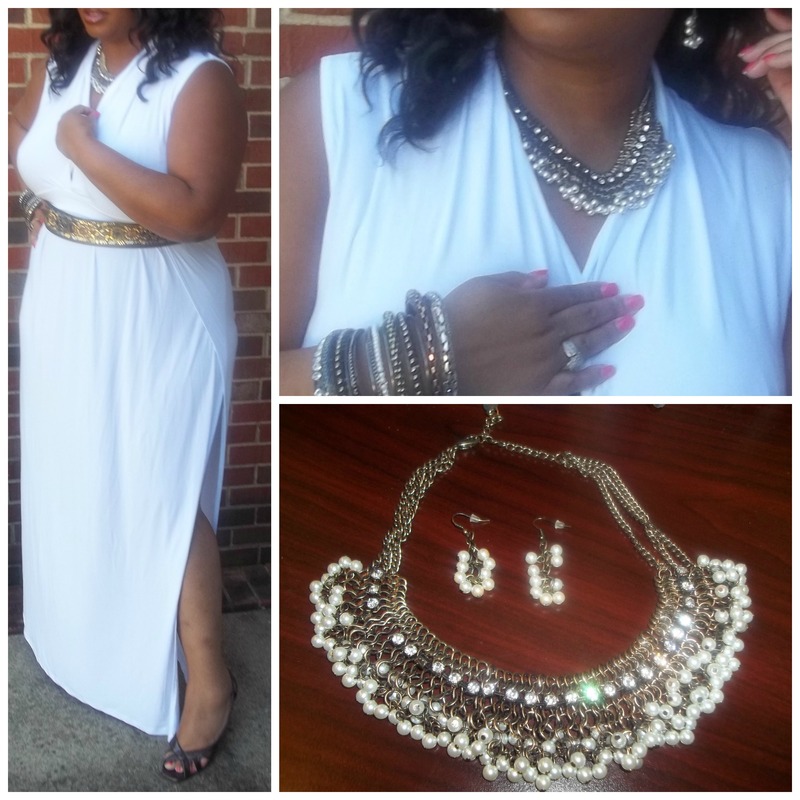 I paired up the all-white with golden/pewter accessories. My necklace and earring set were sent to me by Alicia Baker who is a Traci Lynn Jewelry consultant (#5099). The set I’m wearing is called the “St. Tropez”. It consists of miniature pearls and studs. I also added a beaded belt that came with another dress to define the waistline. (Excuse me for holding the dress in the bustline in the pics. I didn’t realize that I needed a safety pin until I was already in the middle of taking the pics, sorry. But if you don’t wear a belt with the dress or a necklace, I would suggest adding a broach in the middle to secure that area).